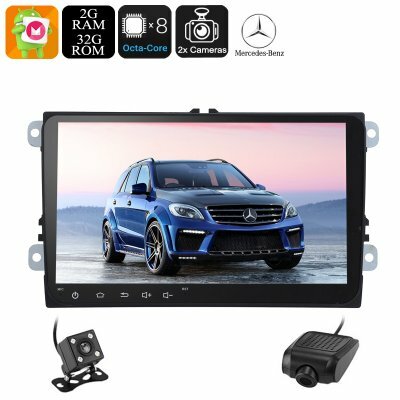 Successfully Added 2 DIN Car Stereo Mercedes Benz ML - Android 6.0, Octa-Core CPU, Full-HD DVR, Parking Camera, GPS, 9 Inch, CAN BUS, Bluetooth to your Shopping Cart. 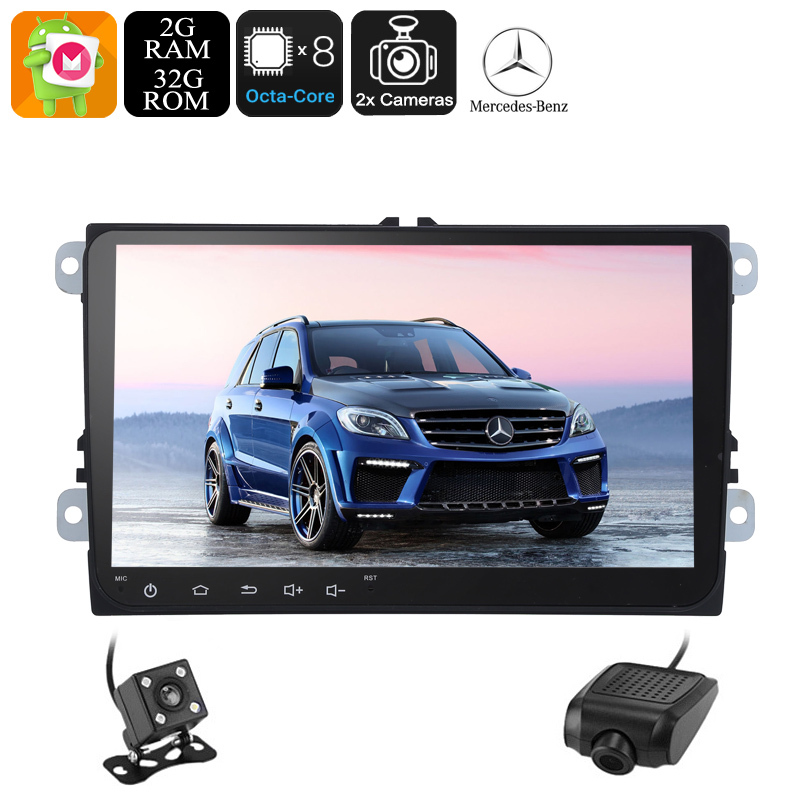 If you’re looking for a way to pimp up your Mercedes Benz ML, this 2 DIN car media player is perfect for you. With its Android 6.0 operating system, this 2 DIN stereo lets you enjoy all the latest Android features straight from your dashboard. It supports both WiFi and 3G (dongle not included). This means that you’ll be able to download media straight from the App Store. From now on, you can entertain your passengers with films, games, and Apps. Never again will any of your passengers experience a moment of boredom while driving along in your car. Naturally, your Dual-DIN car stereo is also capable of playing regular AM/FM radio stations. This lets you listen to all your favorite songs and talk shows while you’re on the road. Additionally, it supports Bluetooth. When synchronized with your smartphone, this car media player lets you enjoy all the songs in your mobile music library through your car’s speakers. It furthermore comes with a microphone that supports hands-free phone calls. To further increase your driving experience, this car media player package includes a reverse parking camera and 1080p car DVR. These gadgets are guaranteed to significantly increase your safety on the road. With its 20 channel GPS navigation system, this 2 DIN car stereo makes sure that you’ll never get lost again. You will be able to simply insert the Android maps of your liking via its 32GB SD card slot. From now on, you’ll always be able to reach your destination in the fastest and most efficient way possible. With its Octa-Core CPU and 2GB of RAM, your Android media player lets you enjoy all its features on a stunning 9-Inch HD touch screen without dropping a frame. This Dual-DIN car media player comes with a 12 months warranty, brought to you by the leader in electronic devices as well as wholesale car stereos..